Coverage for 1500 sqft. HealthMate Plus HM450 by Austin Air is ideal as a residential air purifier or office air purifier. Focus on chemical issues and sensitivities. Easy to use and economical against asthma and allergies. Comes with a 5 YEAR Limited Warranty. Coverage for 1500 sqft. 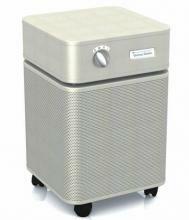 HealthMate Plus HM450 by Austin Air is an ideal residential air purifier or office air purifier that is designed for those with extreme sensitivities to common household cleaning products, detergents and materials can emit dangerous vapors. The HealthMate+™ offers a superior gas filtration system to remove a wide range of chemical vapors. Easy to use and economical. When used with medical marijuana dispensaries or evidence rooms, depending on the size of the facility, it may be recommended to use 2 or more units to compliment each other. 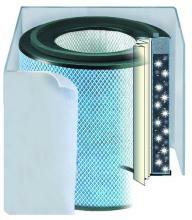 Austin Air Purifiers offer America's #1 Filter and Warranty! Austin has a 5 year warranty on their filters. Austin Air cleaners have been consistently rated at the top of air cleaner categories in independent testing. These units clean up to 1500 square feet. For everyday air quality concerns, Austin Air Purifiers combine proven filter technology to provide the best overall protection from a wide range of airborne particles, chemicals, gases, and odors. HealthMate Plus is great for all-around everyday use for allergies and asthma. Also recommended if you are sensitive to formaldehyde, odors, gases, smoke, and diesel like fumes. Because the Healthmate Plus Jr focus on chemical odors it is an ideal affordable choice for salons too. Austin Air Purifiers address the complete spectrum of air cleaning, removing sub-micron particles, noxious gases and chemicals. Austin Air's 360-degree intake system draws air into all sides of the unit, passing it through a 4-stage filter. The result, more clean air delivered faster and more efficiently than any other air cleaner on the market. H 23" x W 14.5" x D 14.5"
Ready to use out of the box. They include all the standard filters and accessories needed to operate the unit as intended, but there may also be upgradeable filter and accessory options available per model that will be clearly defined within the product's page. Once you receive your air purifier, just plug it in and get ready to breathe fresher, cleaner air! If you're filter is used up prior to 5 years, you can ship it to Austin (not US Air Purifiers LLC) for a prorated credit/refund. Filter life can be variable based on the amount of contaminants in the air to be purified. Backed by the best warranty in the industry, you can take pleasure in knowing you've made a sound investment with your Austin Air cleaner. Important Note: Due to electrical certifications (CSA & UL) all units state HM400 or HM200 on the label on the underside of the unit\'s casing/body. This is a certification that pertains to the electrical portion of the unit. All the bodies of the units are the same. The same is true for the HM200 series (ie the Junior series). Download Which "Austin Air Purifier is for Me" by clicking here. Austin HealthMate, Allergy Machine, and HealthMate Plus differ from one another is the filtering system in stages 3 and 4. - STAGES 1 and 2 are the same for all units. - STAGES 3 and 4 differentiate the units from one another. Download Austin Air Purifier FAQs by clicking here. Download Austin Air Filter Information by clicking here. Download Austin Air Product Descriptions by clicking here. Download Austin Air Healthmate Plus Manual by clicking here. Download Austin Air Healthmate Plus Testimonials by clicking here. 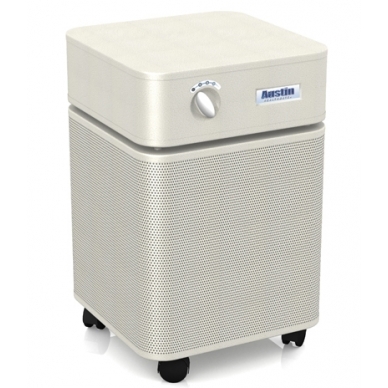 Download Adsorption Capacity Page 1 for Austin Air Healthmate Air Purifier by clicking here. Download Adsorption Capacity Page 2 for Austin Air Healthmate Air Purifier by clicking here. I had called you back in December about purchasing an air purifier. After discussing which kind that would best suit my place, I decided on the Austin HealthMate Plus HM450. Your service is great, as you delivered it to my apartment in Washington, IL, and set it up for me. I noticed a difference in a matter of hours, as the stagnant air in my apartment became 'clean and fresh.' My family came that weekend, and they noticed the difference right away. My family visits me often, and they always remark on how nice it is in here. It makes breathing so much easier. So I want to thank you for your great service! 5.0 Austin Air HealthMate Plus air purifier 12/07/2017 By Karen McCann Very happy with this air purifier! Noticed a difference in air quality on 1st day. 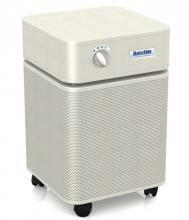 It is a powerful air purifier. So easy to operate with just one knob & 3 speeds. The high speed is a touch loud but not really bothersome once you get used to it and after initial 1st couple hours in a room the medium/low speeds are all that's needed. I like that it is solidly constructed of steel so it is very sturdy. Also, that it is on casters as it is moved from bedroom to family room every day. Would be an advantage to have a longer cord. High quality machine!